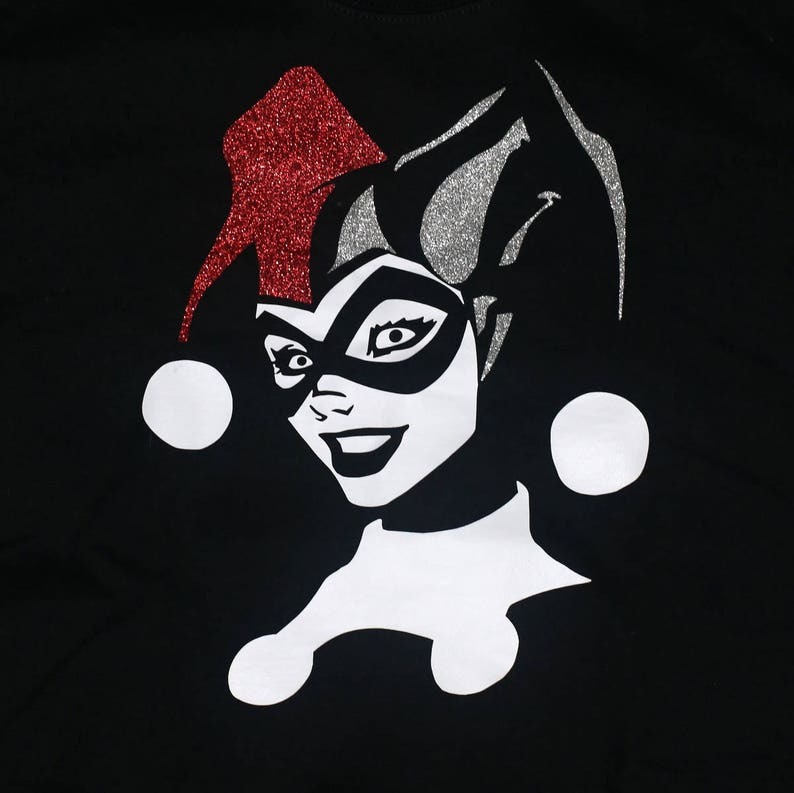 Black shirt with a white design, red glitter and silver glitter. 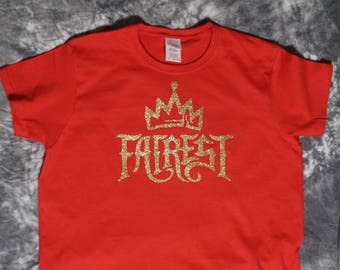 Good quality tshirt for my daughters party. I got it much faster than the turn around listed.